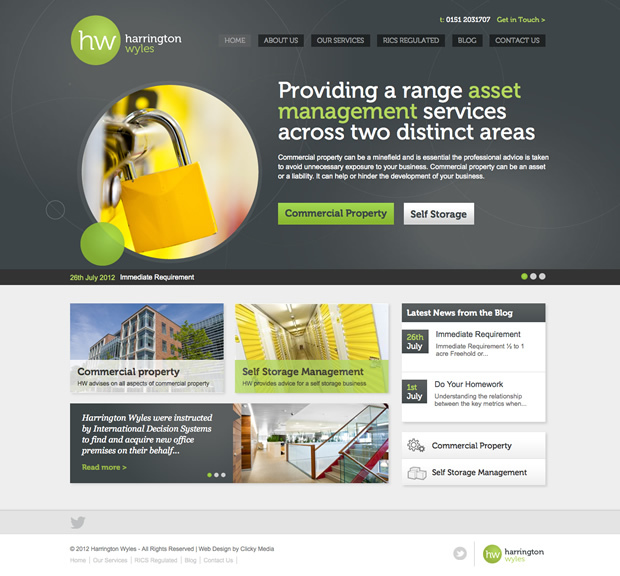 New site launched for Harrington Wyles | PPLS Inc. The site has been developed in WordPress with some bespoke customization to allow the client to manage the website content. Harrington Wyles is a firm offering expert advice in commercial property with a specialist expertise in self storage property management. HW is owned and managed by Jon Wyles a Chartered Surveyor with 20 year commercial property experience.